The big advantage of this model is that there is no need to knit the sleevesand sew them to the main product. We are talking about a sweater or jacket with sleeves "bat the mouse". Clothing with such sleeves are perfectly combined with pants and with skirt. So every fashionista has in his wardrobe at least one sweater of this type. At first glance it seems that to bind such a sleeve is very long and difficult, but it is not. Select the style of your future sweaters. It can be nipped in at the waist or straight, and also with the smell. Make scheme-the pattern for your style. For sweater with batwing pattern consists of only two parts - the front and rear. Buy required quantity of yarn. The sweater may consist of multiple colors, so decide on the color of your model. Start to knit from the left sleeve. To do this, tie an elastic band around ten to fifteen centimeters. Then link the required number of rows of sleeves with satin stitch or other pattern, gradually adding a few loops on each side. Then after a certain number of ranks close to neckline average loop and start separately knit in front and back of the product. Scroll to the middle of the sweater finished and knit symmetrically, with the subtraction become additions and Vice versa. Provarite the rest of the series. After this you need to subtract the necessary number of loops and the remaining loops to tie ten or fifteen centimeters of gum, then close all the loops. Dial on the bottom edge of the forehand and the back the desired number of loops and provarite band of about sixteen inches. After close all the loops. Connect the parts of the product, while run side seams and seams of sleeves. Treat the neck, provatas one row of purl stitches and then close all the loops.Not so difficult to knit a sweater with bat sleeve. Spread your product and gently using a damp cloth iron it. Now you can afford to tie up a lot of different shapes and colors of clothing with original and unusual sleeve. Sweater casual batwing relevant in any season and for any body type. Obese women, this thing will hide all figure flaws and emphasize the dignity. To lean is a real treasure. It perfectly sits on you will remove too thin the parts of your hands and will beautifully highlight your waist! Withknit sweater Dolman is quite simple. But first we need to choose the yarn. If you plan to wear a jacket in the winter, pick up the yarn with wool, Angora or Alpaca. But remember, it should not be too thick. 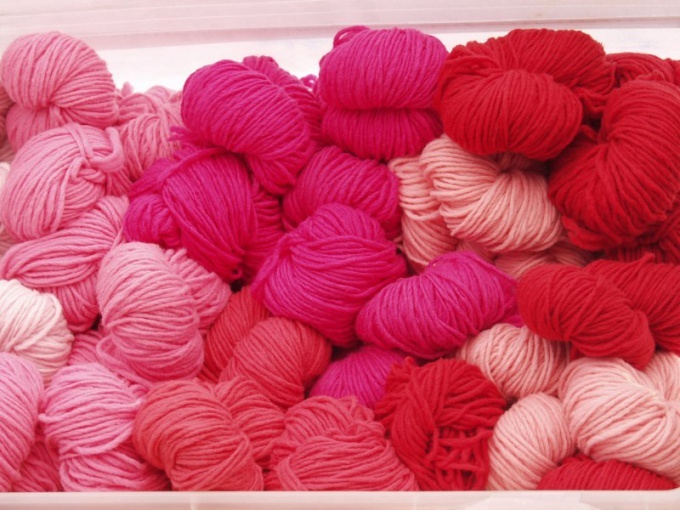 Pick up yarn no thicker than 120 m/50 g. For a summer option is perfect cotton, bamboo or silk. For spring and autumn suitable combinations of the above compositions (wool, bamboo, cotton, Alpaca, etc.). Sweater Dolman knit in two ways. The first is to start knitting the sleeves and then to add a loop for the back or front. Or the second way is to knit from the back or the front, and then dial the loop for the sleeves. Before you start to crochet you need to make a pattern. For the pattern to repeat measurements of the volume of the waist and chest; the length of the product; depth and width of the neck; lengths and heights of the sleeves. When knitting this sweaters special attention should be paid to the sleeves. You must associate so that they are not pulled, and comfortably sat on his shoulder. For knitting the first method, type of hinges you need for your size. Tie a 10 cm elastic band to the edge of the item not turning. The rubber band beautifully complement a more casual top shirt. Then start knitting a basic pattern. It may be "rice", "thread waste", pearl binding, etc. after 25 cm from the start knitting, start to add 1 loop in each 4th row. At a height of 40 cm dial to your canvas on each side, more on of 60 stitches and knit at all loops up to 50 cm. Make the neck, dividing the knitting in half and closed 20 secondary loops continue to knit each side separately, closing with each side of the neck 7 times for 1 loop. At the height of 60 cm close all the loops. Before ready! Now, just as you knit the back, but neck start to do at the height of 55 cm Please note that on the back you should be close to neck in 3 loops. The second method is more time consuming because you have to do more additions. Dial on the spokes of loops required for knitting the sleeves. Link 10 cm band. On the left side start to step it up in every 2nd row: 1 loop up to a height of 20 cm and Then add another 30 times for 2 loops. When the height of the sleeve reaches 40 cm, bind directly to all the loops. 15 cm do the neck, closing the right 5 loops, then 2 times 3 loops and tie another 15 cm For the design of the neck make the necessary addition: 2 × 3 stitches, then immediately 5. Now start knitting the second sleeve to the first mirror, i.e. on the right side take away 30 times for 2 loops, and then 1 loop in each 2-th row. Knit in front of the mirror. To make it easier to knit one item, take circular needles with fishing line at least 80 cm. With the stitching detail, it is important not to pull the stitches, because then you will not get a nice flowing folds of the sleeves, distinguish jacket "Bat". Style "flying mouse" comes from Japan, but it has already gained immense popularity in the edges located even very far from the land of the Rising Sun. And no wonder. To knitting a sleeve "bat mouse" you can do without patterns, and it will look really good. The pattern can be anything, but the thread for such products it is better to choose softer. of spokes or the hook on the thickness of the thread. The product with a sleeve "bat mouse" best to knit one fabric. You can start with the bottom of the shelves or back, and sleeves. Dial on the spokes of a loop respectively for the calculation. Hem knit as planned. Usually they start with a rubber band, but this style looks good without it, especially if you knit from mohair open knit. Perform a direct canvas before the start of the armhole. Add loops on the sleeves. This is done at the end of the row. Davaite to the edge, then make a set based on the length of the sleeves. Do the same make in the next row on the other side. You can do a little differently, making the transition smoother. Start add a loop with two sides, not dawasa to the bottom of the openings, five inches. Add on both sides simultaneously, making direct or reverse of nakedy after the initial edge and front end. Add better through the series or only the even or odd. Further steps depend on style sleeves. If you want to make it straight, knit without additions and bavleny to the line of mid-shoulder. If the sleeve slightly tapers to the cuff, first dial not all the loops needed for the calculation of length, but only a part, for example, to the elbow or slightly higher. Provarite right a couple of rows, then dolerite on each side some number of loops, and so as long as on the spokes you will not be a shelf or the back and two full sleeves. A little dawasa to mid-shoulder, close the loop on the neck. Find the middle of knitting and somehow mark it or just remember. Put in one and the other side PO1/4 neck girth or size of the cutout that you would like to get in the end. These points also mark. Start the row with one of the arms, doverite to the first mark and close the loop intended for the neck with one hand from the middle to the other. Remember their number. Tie the number on the second sleeve. If you closed your mouth strictly in the midline of the shoulder, in the next row dolerite loop. From the beginning of the sleeve davaite to the mouth, make a set of loops and continue the row on the second sleeve. Loops on the sleeves take away in the same order in which you added them. That is, if the sleeve is straight, knit quietly to the bottom of the armhole, and then immediately close the loop on two sides so that the spokes were the only ones from which you will knit the shelf. In the second case, close loop gradually, not forgetting to try new cuts of the sleeves to the existing ones. The product sleeve "flying mouse" is not necessarily a straight horizontal neckline. It can be with zipper and V-neckline. In this case it is more convenient to start with the part where there is no zipper. To cut knit exactly the same as in the previous method. But after this you have to tie one half to the end of the clasp, and then another. Dress or sweater "flying mouse" it is possible to start knitting from the cuff. Link the very first the cuff, then knit the sleeve, gradually adding loops on both sides. You can extend it at once. The main thing - remember how you did it, because the lower loop on the second sleeve should be in the same order. Davaite to side seam. Add loops together with the side shelves and back. Knit straight up to the neck, then divide the work. One part of the hinges, remove the string, and the second continue knitting to the end of the neck. Then return to the second part, davaite them to the second edge of the cap and connect the parts. Having reached the second side of the seam, take away the loop in the same order as you added. Try as much as possible to respect the symmetry.